Sinus pressure, sinus pain, chronic sinusitis, all of these conditions will surely make us think of continuous sneezing, drippy noses, red and puffy eyes, tissues, and handkerchiefs inside our pockets. Sinus is a very common sickness that is usually caused by allergies or illnesses, it results in a buildup of mucus that does not drain mostly because of the narrowed passages in our nose. A sinus infection may not be contagious, but it can be very uncomfortable as it causes pain that is sometimes unbearable to handle, low fever, swelling face, runny nose, pressure or headache, sore throat, congestion, and more. Luckily, there are some best essential oils out there that can provide you some relief. There are a lot of essential oils that you can purchase in the market, but not all of them has a good effect on your sinus. But for tea tree oils, they are very effective in treating nasal congestion, cough, and sore throat. The oil is extracted from the Melaleuca alternifolia tree, which was brought by Captain James Cook. Due to the oil’s antiseptic and antimicrobial properties, it can help eliminate the germs and bacteria that cause the symptoms of colds and flu. Any methods will work when delivering the essential oils, like any other oils, if you plan on using it to treat and relieve your sinus, you can either use a diffuser or apply it on a hankie to sniff on it. Peppermint essential oil was extracted from the leaves Mentha Piperita, or commonly known as peppermint. 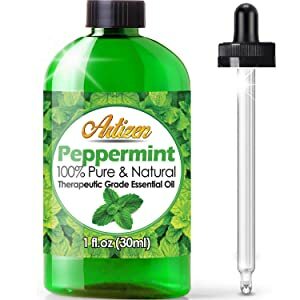 Peppermint is widely known and famous for its ability in relieving sinuses, such as pressure and congestion that sometimes lead to pain and headaches. It also possesses high antibacterial, astringent, anti-fungal, antimicrobial, antiseptic, and anti-inflammatory properties. This essential oil not only provides you with relief, but it would also treat your uncomfortable condition. Menthol is a primary compound that is found in the essential oil, this has been for over 2000 years as a health remedy and tonic. Its mild sedative and potency properties make it a perfect remedy for pressure and congestion. Using peppermint alone can be rather toxic on its own, therefore, consider mixing this with a carrier oil. Oregano is believed to be one of the most versatile and useful essential oils in the world. During ancient Greece time, oregano was used to treat the infection. It was also used for food to help protect it from bacteria. Its oil is extracted by the process of steam distillation of oregano’s fresh leaves. For most of the practical purposes, oregano is probably nature’s best antibiotic. It also contains a high level of carvacrol and thymol, which are two organic compounds that have powerful antifungal, antibacterial, and anti-inflammatory properties. The carvacrol is also known to help fight parasites, bacterial infections, allergies, viruses, fungal infections, tumors, inflammation, and chronic sinus issues. In addition, oregano can also treat and prevent infections by strengthening and boosting your immune system, which is by aiding in the function and production of the white blood cells. The eucalyptus tree is one of the most useful trees in the world, and it is also among the family of tea trees. Like the previous essential oils, the eucalyptus oil is also well known for its antibacterial, antiseptic, and astringent properties. Therefore, using a eucalyptus essential oil with a diffuser will provide you an instant relief for your sinus. Aside from having a great effect in sinuses, eucalyptus is often used for cough syrups and drops as it possesses antibacterial, antispasmodic, antiviral, and antimicrobial properties. This would help open your clogged airways, relieve your congestion, fights the production of mucus and phlegm, and reduce the magnitude and frequency of your cough. Thyme is also a member of the mint family like the peppermint and eucalyptus oils. It possesses an expectorant, antiseptic, anti-spasmodic, and antibacterial properties, which makes it an incredibly effective essential oil to help treat your sinus pressure and congestion. Grandma’s home thyme essential oil is one of the best products in Amazon. Therefore, if you haven’t tried the thyme essential oil before, then this may be the time for you to give it a go. Thyme is also among nature’s powerful antioxidants that help support the nervous, immune, respiratory, and other systems of your body. Therefore, not only is it great in relieving your sinus infection, but it also provides amazing support in your body’s system. Lavender essential oils are considered as light or less potent type of essential oil, but nevertheless, it still possesses a very beneficial property for your mind and body, and this includes certain health conditions like your sinus. In fact, this is widely known and used essential oils in the world. It has a hint of camphor and musk that would provide an amazing smell in your household. 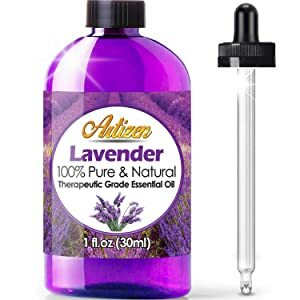 Therefore, if you are looking for something that could make your house smell good while providing some relief for your sinus, then this lavender essential oil from Artizen is a great choice for you. Aside from providing relief, its also great as an anti-inflammatory, antifungal, antiseptic, and antiviral oil. And since this is a mild oil unlike the previous oils in the list above, there is no need for you dilute it with the use of carrier oil. Here is another member of the mint family, Rosmarinus officinalis or also known as Rosemary, have originated in the Mediterranean and southern Europe region. This has a strong antifungal and antibacterial properties making an excellent oil by helping in cleansing your lymphatic system, as well as strengthening your immune system. This way, not only will it help treat your sinus, but it will also prevent it from forming in the future. Essential oils from Handcraft blends are always tested in an independent lab to ensure the oils come in quality, which means you would be using a good-quality essential oil for your sinus. If your congestion hits you, use a few drops of essential oil with a mix of carrier oil like olive, emu, tamanu, or jojoba and then gently rub it on your throat or chest. Repeat this several times a day, and your sinus will get treated in no time. If you’ve already looked for different brands cinnamon essential oils in the market, you’ll notice that some of them call it as cinnamon bark oil or cinnamon leaf oil. Cinnamon is one of the oldest trees in the world and has been considered with a great value, where only those who are wealthy or of royalty are able to use the benefits of cinnamon during the ancient days. Cinnamon is usually used as spices for foods for thousands of years. But now, the oils are extracted and refined further to become an essential oil, which is what we are using today to provide good aroma in our home that provides relaxation and to help relieve are illnesses such as sinus. With just a few sniffs of this amazing oil, it will effectively provide you an instant relief for the pain you are feeling because of your sinus. We also recommend that you use a 2:1 ratio of carrier oil for the clove to avoid causing irritation on your skin. This is highly recommended for those who have sensitive skin. Ro treats your sinus, use a few drops of clove oil and massage it through your chest and nose bridge to alleviate congestion, as well as aid you in breathing. If your sinus inflammation or sinus infection is overproducing mucus, using cedarwood or pine essential oil is a very effective treatment for it. Its cool and astringent aroma will help loosen your mucus and phlegm, which would help your respiratory system to function properly again. This essential oil is free chemical additives and dangerous alcohol, which makes it a good choice for those who have sensitive skin. Cedarwood also has incredible antiseptic, antiviral, and anti-inflammatory properties which would provide some treatment for your inflammation, congestion, and other issues on your respiratory system. Aside from sniffing the oil in its container, you should use the cedarwood essential oil by a humidifier, diffuser, or steam inhalation. Lemon essential oils are known for its cleansing properties, which would extend up to your immune system. Since lemons have a high concentration of vitamin C, the oil will help boost your immune system, as well as antibacterial and antiviral properties. This will support your respiratory and lymphatic system as it would break down your mucus, which provides a congestion relief. You can use this oil by mixing it with other carrier oils or alone to help relieve your sinus. If you can’t stay at home due to work, you can place a few drops of lemon essential oil on your hankie to be able to sniff on it from time to time. Additionally, you can even use this essential oil to cleanse and detoxify the air is prayed by a spray bottle or diffuser. This specific essential oil is a very effective treatment for allergies, this is effective for all kinds of allergic reaction. Since chamomile essential oils have a relaxing property that has been shown to provide fast relief from hives, rashes, and other allergic reactions as well as a sinus infection. With a blend of carrier oil of your choice and chamomile essential oil, you can topically apply it on any parts of your body. You can even apply this oil on your eczema as chamomile provides an effect called antihistamine, which helps soothes the symptoms of your dermatitis. If you are suffering from continuous sneezes, excess phlegm, and clogged nose due to cold or sinus, you can simply inhale the chamomile essential oil to help calm your respiratory system. Bergamot is among the best essential oils that you can use for relieving your sinus infection and others. It can also be used to provide some relief for those who have asthma or having asthma attacks, one sniff of this essential oil during an attack will provide some relief instantly. Aside from asthma, sinus, and other allergy symptoms, the Ola Prima also provides great aroma in your home. The bergamot essential oil has been found to provide an effective relief for cough, sinus, and asthmatic symptoms, which is why a lot of people has been using this type of oil for a long time. However, some people don’t know about bergamot as it is not as popular as the lavender oil and others. But now that you know about bergamot and its effects, you might want to consider getting one for your household. Here is another great essential oil that is manufactured by Healing Solutions, if you want to ensure that you are using a high-quality essential oil from the market, then we suggest that you get one of these products from the company. Frankincense is one of the best products among their other productions. Frankincense essential oil can be used to help reduce your body’s inflammatory responses to allergies within the body. In fact, according to some studies, this essential oil can also help reduce your allergic rhinitis symptoms. Therefore, not only is it a great oil for your sinus, but also to other complications as well. When it comes to reducing inflammation and fighting off infection, basil essential oils would make an excellent choice. In addition, it can also work as an antihistamine to help reduce your body’s allergic responses. This way, you can prevent your sinus infection from continuously affecting your daily activities. Traditionally, basil oils are used for treating and alleviating gastrointestinal conditions, coughs, and headaches. Eugenol, which is a common compound found in basil oils can effectively eliminate your bacterial and fungal infections, so this also includes all kinds of sinus infections. This can also prevent yeast or mold from causing an asthma attack to others. This is a good choice that you can use for any household. Since everyone has their own preferences when it comes to scent, you’ll have to make sure to only choose one of the given essential oils above that suits your preferred scent. But if you’re trying something new for the scent, or to help relieve your sinus, then you are free to choose any of the given products above.